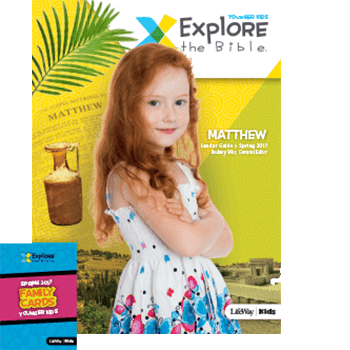 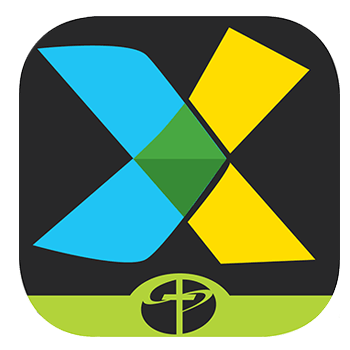 Invite your kids on a Bible exploration! 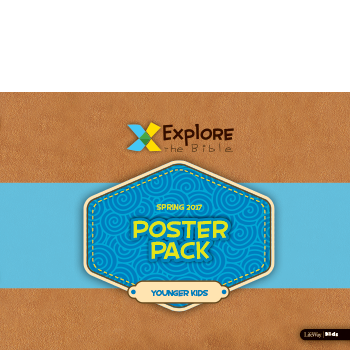 If you asked your first through sixth graders whether they want to "explore" an exhibit or "read" about it, most would choose to explore. 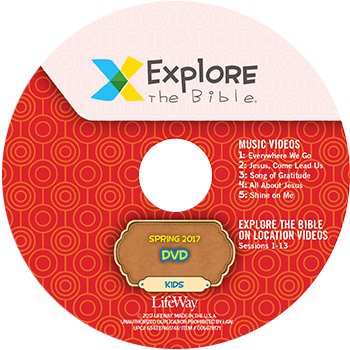 The Bible is meant to be read, but unlike any other piece of literature, it's also living and active. 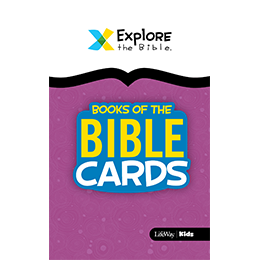 The Word of God exists to be explored! 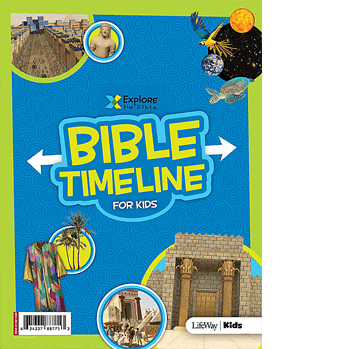 Your elementary through preteens can dig deep into the greatest excavation site in existence–Scripture. 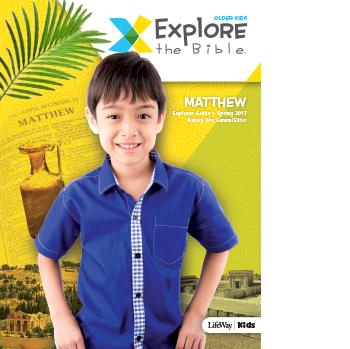 As they dwell in the Word, book-by-book, they will experience the Bible like never before. 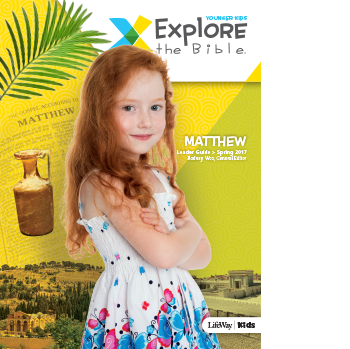 Every session of Explore the Bible brings the Bible to life through rich study and engaging Bible objects, equips kids with foundational Bible knowledge and skills, and encourages them to live what they learn everywhere they go. 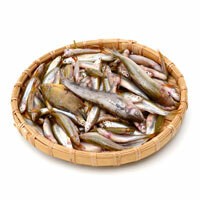 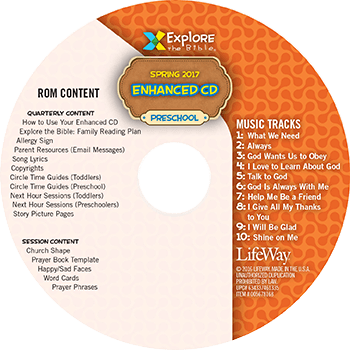 Adds fun to your sessions! 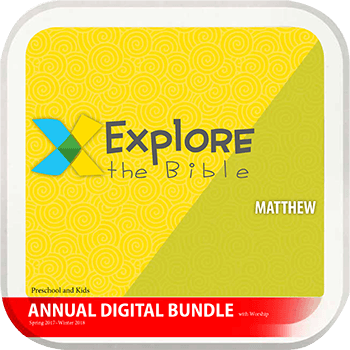 Includes interesting facts about the book, author, audience, and purpose. 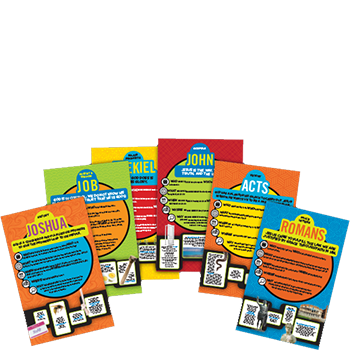 Color-coded according to the division of the Bible where it belongs. 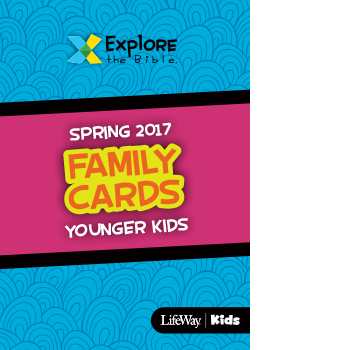 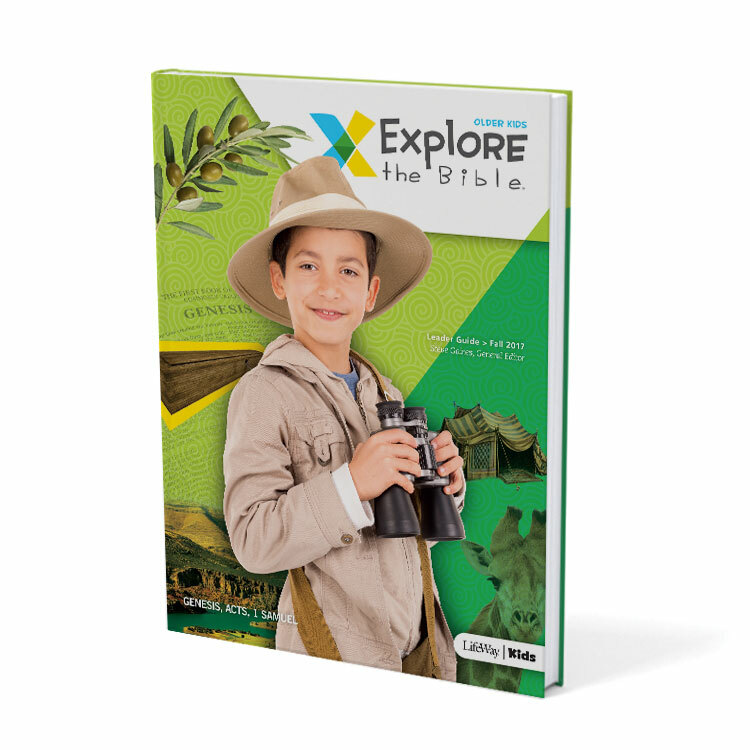 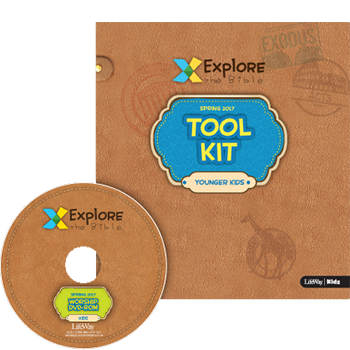 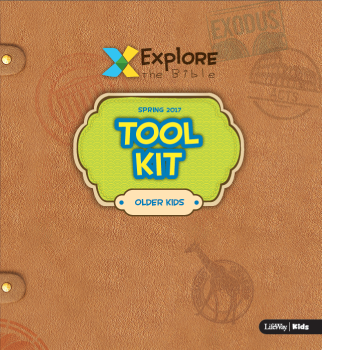 Deepen your kids' engagement, make it easy for visitors, and promote personal Bible skills all with one simple and affordable resource: the Explorers Guide.